Pets afflicted with heart failure or high blood pressure should not be fed salty foods, as they cause fluid to be retained in the body and make it harder for the heart to work. They also can lead to fluid developing in the lungs (pulmonary edema). Most commercial dog foods have a decent level of sodium, although some have high levels, such as Hill's S/D. Pets that have non-life-threatening heart problems don't necessarily need to be restricted on sodium, but you still should keep an eye on whether the food you're feeding your pet has overly-high sodium levels. Once a pet has had an episode of congestive heart failure or has hypertension, the diet should be restricted in sodium. Most commercial dog foods have a sodium content of 1.0 gram per 1000 KCal. This description is just a way to measure the relative sodium content without having to calculate whether it is a canned or dry food. 1.0 gram is actually ten times the amount really needed by pets. As it turns out, dogs like salty foods just like we do!! Often veterinarians will recommend a renal diet (one made for kidney problems) for heart patients as these diets are restricted in sodium (0.3 gram per KCal) and heart patients usually become kidney patients eventually. There is a diet made by Hill's specifically for heart patients (H/D) that has 0.23 gram of sodium per KCal, and in some cases veterinary cardiologists may recommend this. You should review the label of the pet food you are feeding to see if the percentage of sodium is listed. Usually it is not on the label, as it is not required to be listed, but you can contact the manufacturer to ask for the sodium content. 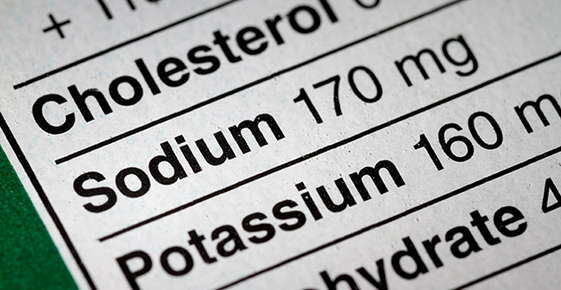 Remember, to compare, the sodium content should be given in grams per KCal. In order to administer medications, many people use Pill PocketsTM made by GreeniesTM. These are tasty pillowcase-shaped products used to hide pills for dogs or cats. The Canine Pill PocketsTM are high in sodium, so it is better to use the Feline Pill PocketsTM for both dogs and cats. With advances in veterinary medicine, many heart patients can live happily and without symptoms for years. It is up to you to make sure their diet is a good one! !